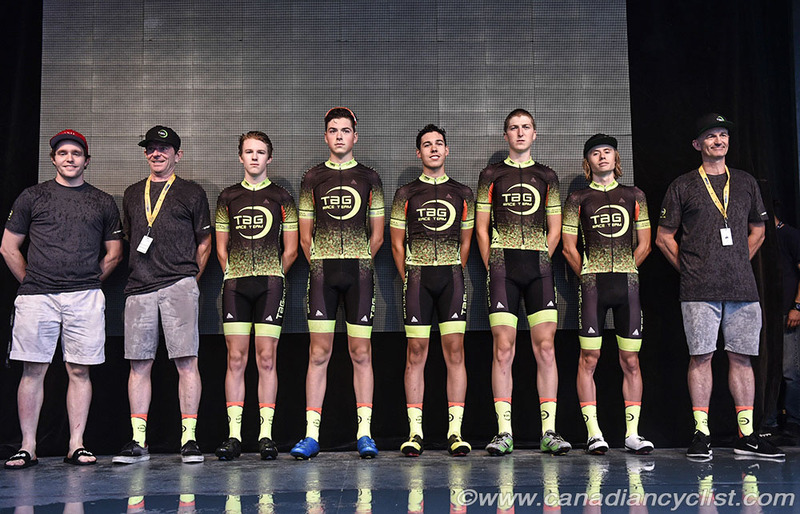 This evening, the team presentation took place for the 50th edition of the Tour de l'Abitibi, in front of the City Hall of host town Val d'Or. A total of 25 teams will take part this year, including six national squads, four provincial teams and five Canadian trade teams. 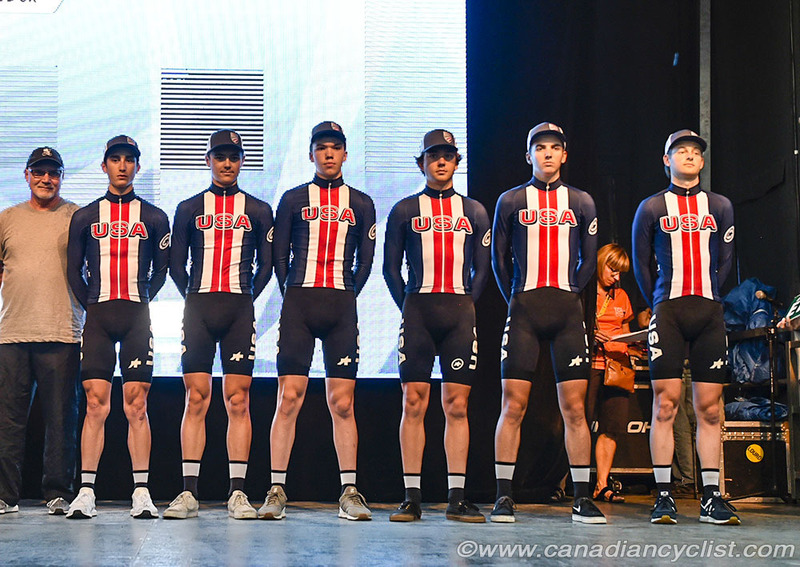 Just as MC Louis Bertrand announced the start of the presentation, a huge crack of thunder punctuated the proceedings, a precursor to torrential rain, thunder and lightning - in other words, the usual Abitibi conditions for at least one day of each race... 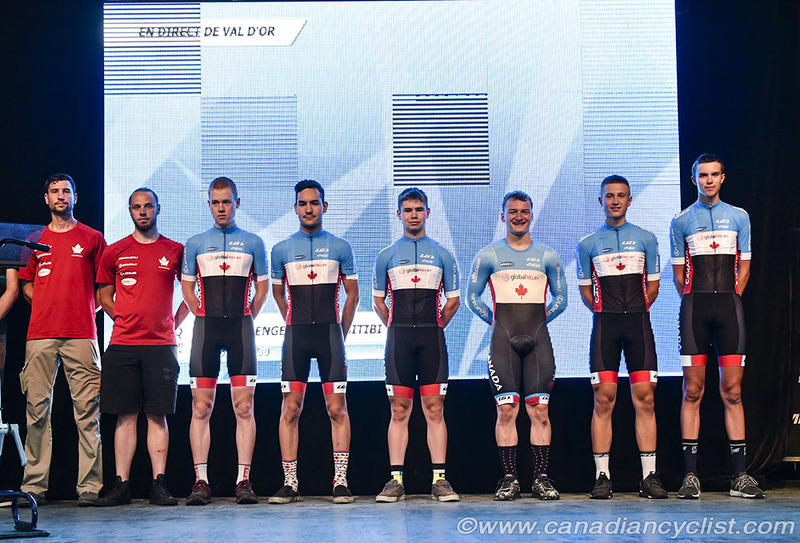 The Sprint Challenge was canceled due to the lightning, but racing will get underway tomorrow (Tuesday), with the opening 115.6 kilometre stage from Rouyn-Noranda to Val d'Or. Racing begins at 4:45 pm, and concludes with three laps of a finishing circuit in Val d'Or at approximately 7:15 pm.